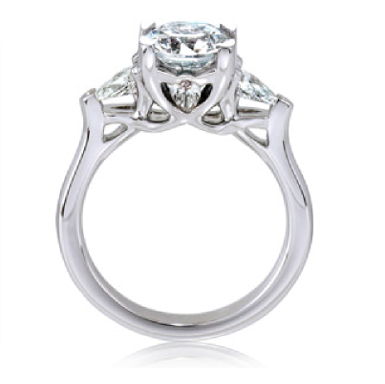 Round brilliant-cut engagement ring with pear-shape accents, named after the Scottish island of Scotasay. Elegant, neatly balanced design. The round centre stone is complemented by four pear-shape diamonds; two on the sides of the centre stone, and two more on the sides of the setting.